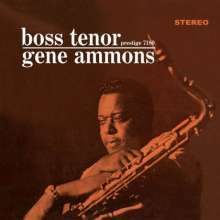 Der Artikel Gene Ammons (1925-1974): Boss Tenor (Hybrid-SACD) wurde in den Warenkorb gelegt. 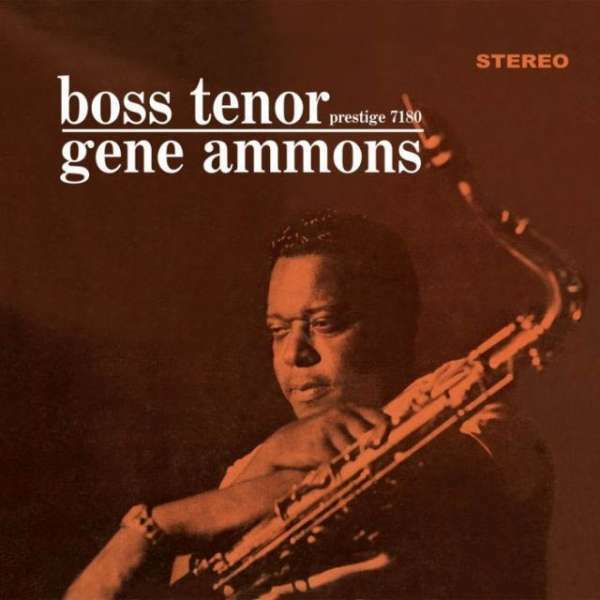 Der Tenor-Saxophonist Gene Ammons gehörte seit den 1950er Jahren zu den größten Stars des Labels. Ob als Lead oder als Teil einer der zahlreichen Prestige-Jam-Sessions, ob im bluesigen »Soul Jazz« oder bei herzergreifenden Balladen: Ammons beherrschte sie alle. Und 1960 führte er dann das Quintett an, das er mit dem erstklassigen Pianisten Tommy Flanagan und Conga-Spieler Ray Barretto zu Boss Tenor führte. Am Bass spielt Doug Watkins, das Schlagzeug trägt Arthur Taylor bei. Mit dem schwer vom Blues getränkten Hittin' the Jug und Blue Ammons, den neu belebten Standards Close Your Eyes und Canadian Sunset oder auch das swingende Stompin' at the Savoy ist für jeden Jazz-Hörer etwas dabei. Das Remastering für Analogue Productions übernahm Kevin Gray. He was released in 1969 after serving seven years, and although there was the gratification of having an audience still waiting for him after all that time, there was still the frustration of being barred from making professional appearances in Manhattan jazz clubs for several months - a throwback to the iniquitous cabaret card system which had supposedly been disbanded. Ammons was born in Chicago in 1925, the son of famed boogie-woogie piano stylist Alert Ammons. At the ago of 18, Gene went out on the road with the Chicago trumpet player King Kolax, but it was the gig in Billy Eckstine's band from 1944-1947 that gave his name and reputation nationwide exposure. And while he occasionally availed himself of the opportunity to ‹live better electrically« by employing the varitone device, his ebullience in performance and adherence to the simple melodic and rhythmic roots of his music—those factors which set the body in motion— won him many new friends.